Balance. It’s my one little word for 2015. For the past month, I’ve struggled with coming up with a word for 2015. My word for 2014 was present. I think I did an adequate job of being present throughout the year. I’ve put down the phone at dinner. Given Ryder my undivided attention when he needed it most. And I’ve tried to put down the phone while with Jon (unless of course it was needed). I felt like a few words were applicable for how I want to live 2015. But at the end of the day, my life desperately needs balance. No one knows the struggles of being a work at home parent (or even stay at home) than other parents. My friends who work outside of the home don’t get it… It’s a struggle to find time to be an amazing mother, work, take care of a house, and have dinner on the table every night. Oh and time for yourself? What’s that? I will be the first to admit that there have been times over the past 9 months where I’ve wished I went back to a day job (not the same job but a day job that got me out of the house with a lunch hour and time to myself)! But I choose to stay at home, take care of Ryder, and work on my business. Be my own boss. No one ever tells you how hard it is to be your own boss. I work around the clock. If it’s not taking care of Ryder, I’m working on something blog related, or taking care of our home. Most nights, I lay in bed, as I’m doing now, typing on the computer while I’m watching Ryder soundly asleep in the monitor on my night stand and Jon snoring next to me (true story). I’m working for hours trying to “catch up” although I know I’ll never be “caught up”. There is always something that needs to be done. I feel like since I’ve been a WAHM (work at home mom) people think I don’t do anything all day. That I don’t have a schedule– that I’m just sitting back, watching tv and for the sake of it… Eating Bon bons. I wish that were the case. It’s not. I’m constantly on the go. Yes, there are days where I’m exhausted and I actually take a nap while Ryder naps in the afternoon. I still feel guilty taking naps during the day. I know I shouldn’t. I’m the one who wakes up with him during the middle of the night. No one else. It’s me. And yes, I do work out 3 days a week (with Ryder by my side), and I take Ryder to a music class weekly. But let’s face it–who can stay at home and feel like they are prisoners of their own home? Not me. So I try to get out at least once a day. Some would argue that is all things for me… when in all actuality it’s not. I guess technically working out is for me; however, I’m still taking care of a little human being during that workout… so I only count that as half. Now that Ryder is crawling I’m finding that it’s so difficult to get work done while he is awake. I want to spend every waking moment with him because let’s face it–he’s only small for a few short years! But at the same time I still need to work and pay some of the bills. Ryder always naps in his crib, but today I let him nap next to me. He woke up, crawled to me and went back to sleep in my arms. So much for working… This is hands down way better! 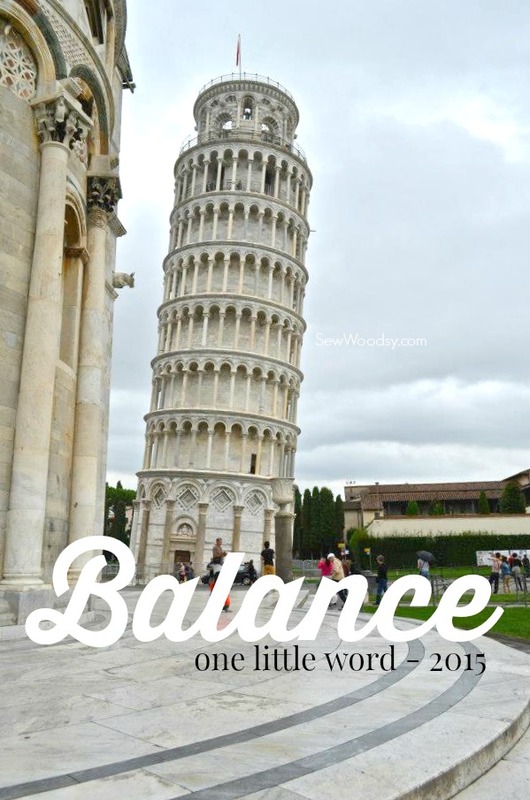 For the sake of my own good, in 2015, I need to find balance in my life. Gone are the days of working until 1-2 in the morning because it’s the only time I can find to work uninterrupted. If it means I hire a sitter for a few hours each week so be it. I’m a work at home mother. I own a business and I feel like my business is not thriving the way I wanted it to because I don’t have the time to work on it. My goal is to get 10 uninterrupted hours of work in a week plus work during naps. I feel like it might be a lofty goal but one that I feel I should be able to achieve if I hire help. I think part of me feels guilty for hiring help. And then I remind myself that I’m a work at home mama. I make money to pay bills. It’s ok to hire help so that I can make money for our family. And at the same time, I realize that some weeks I might not be able to achieve this goal. I’m ok with that. Some weeks I won’t be able to get all the post that I planned to publish for the week out. I’m learning to live with it. In an effort to help the balance and my sanity I attended my first MOPS meeting yesterday. I had 1.5 hours of time to myself… That was until the pager went off and I had to pick up Ryder from the nursery. He was due for his nap and was in rare ugly-crying mode. But I will say I’m looking forward to attending future meetings and taking a few hours to my self! I also want to continue my date nights with Jon. I need them for the sake of our relationship. After being together 12 years it’s a big adjustment to add another human being in to the mix. I want to continue to balance my time with Jon. Last year, I would work every other night and on the other nights that I choose not to work I would spend the evening with Jon (after putting Ryder to bed). So there you have it. My one little word for 2015. I know I won’t master having a balanced life, but I simply just want to work on having a better control over all the different areas of my life. Do you have a word for 2015? If so, what is it? Tell us in the comments below.